Backwoods Maze 2017 home haunt was definitely one of the highlights of the Halloween season. 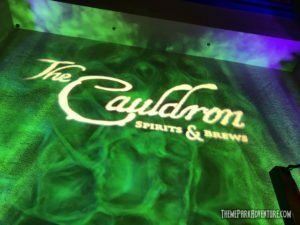 Theme Park Adventure has long-supported this talented family of haunters, and their creation simply gets better and better each year. 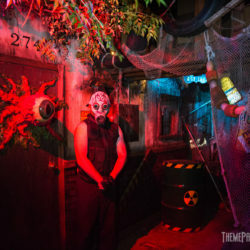 This particular home haunt can be found at 1912 North Pepper Street in Burbank, not terribly far from the local airport or world-famous movie and television studios. 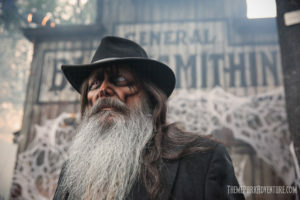 What helps Backwoods remain so low-profile, is that the majority of the haunt – a densely-propped maze of twisting, turning, tight corridors – takes up the family’s entire backyard, allowing them to tweak and work on the attraction throughout the year. 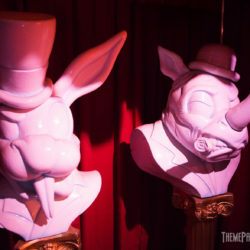 The front yard during Halloween serves only as a showcase for some of the props that Jeff and Taylor Gustafson have added to their amazing collection of horror memorabilia over the years, from tombstones bearing famous monster/slasher names, to a life-sized Freddy Krueger figurine and more. 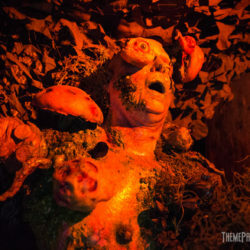 The front yard display merely serves as a distraction while guests wait in line – a line that often stretches down the sidewalk, due to the home haunt’s popularity. 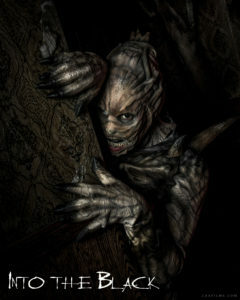 The maze itself is what we refer to as “haunt stew” – a series of themes and ideas all kind of thrown together to create one crazy experience. Typically, we’re not huge fans of this formula – especially now, when storytelling has become such a rich facet of haunting. 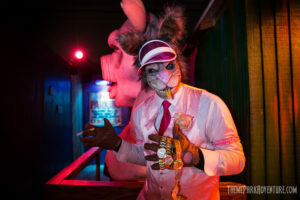 In the case of Backwoods, we’ve actually fallen in love with its eclectic aesthetics and general “WTF” style. It’s kind of like a junkyard nightmare – massive cyborg warriors, alien creatures, plague doctors, and animal-human hybrids all coexisting in something that resembles a Sanford and Son hell of sorts. And in this case… it works. 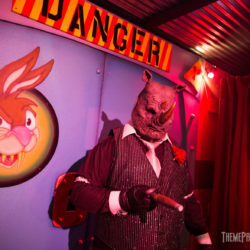 Guests have absolutely no idea what terrors they’re going to come face-to-face with around each corner; nothing makes sense, nor is anything predictable within the Backwoods Maze. While the Gustafsons have the luxury of tinkering with their Backwoods Maze all year long, it’s still a tremendous labor of love that takes a lot of time to maintain – and resources. 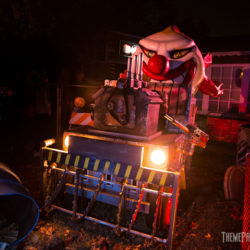 By resources, we mean cash; haunts take a lot of money to create and keep alive, yet this family has done so for years now – giving joy to the community here in Los Angeles each Halloween season. 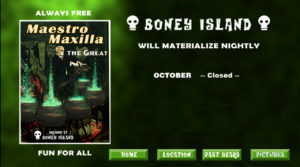 There is no entry fee to Backwoods Maze, but donations are always welcome and accepted – which we highly condone in this case. 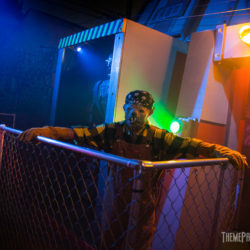 If you missed Backwoods Maze 2017, there is always the 2018 season to look forward to; it may seem like a long way off, but I assure you, it will come sooner than you know it, and the Backwoods team will be waiting for you with new props, creeping monsters, and more outrageous stuff to terrorize you with! 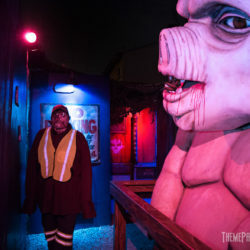 Huge kudos and love to this family and their extended team for giving the Los Angeles community the gift of a truly unique and outrageous haunt. 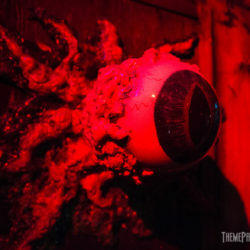 We’re big fans, and cannot wait to see the continued evolution and success of this amazing home haunt!